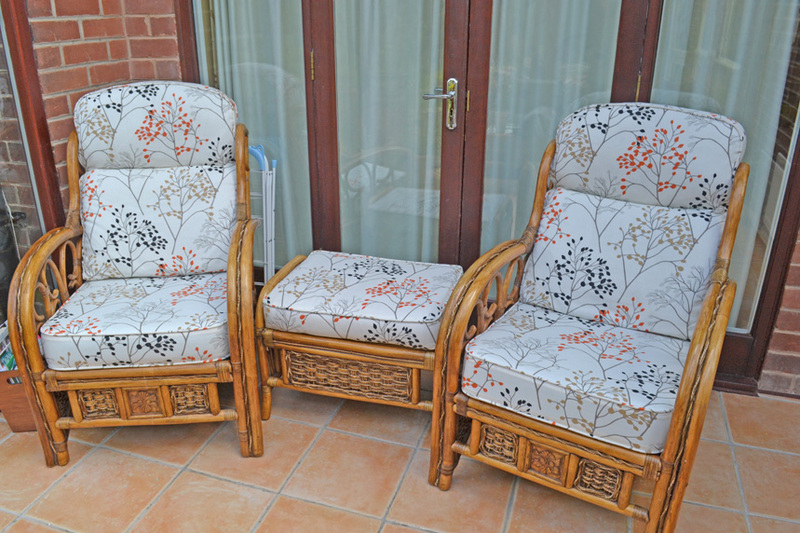 We recovered Mr & Mrs K Munns old and tired conservatory set in a new, fresh fabric from the Sanderson Madison prints range. We also replaced the foam in the two seat cushions to give a firmer feel to the cushions. If you have a similar conservatory set in need of an upgrade then please contact us for price details.